The case dimensions are: 169 cms x 52 cms x 45 cms. 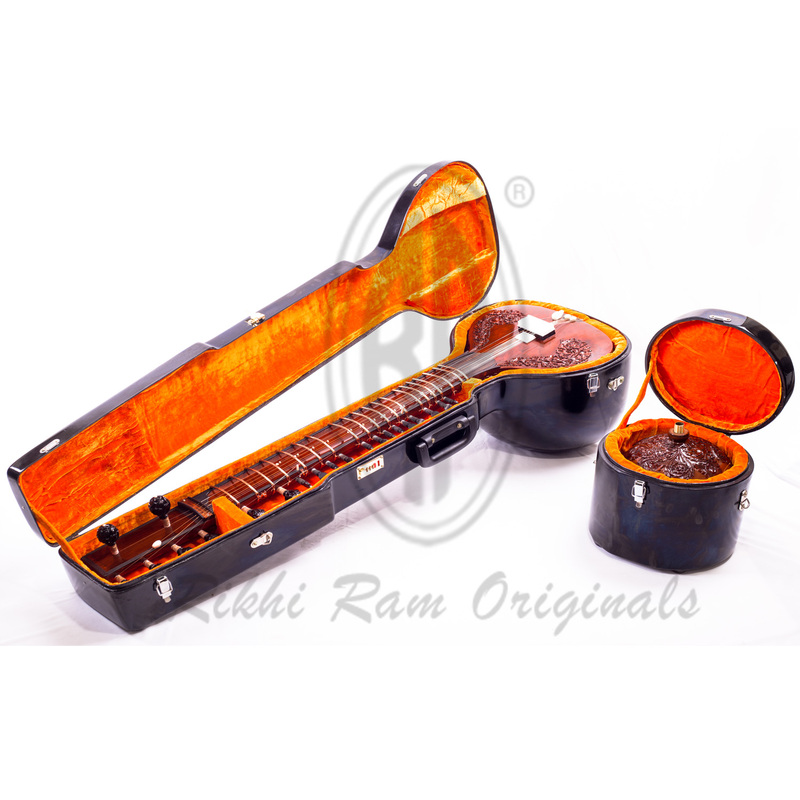 Bishan Dass & Ajay have designed ''Geetanjali'' sitar which is an amalgamation of Pt. Ravi Shankar and Ustad Vilayat Khan style sitar. Made from well-seasoned cedar wood for best tone and sound. Fitted with fine carved pegs, best quality frets, strings and special post bridges for each tarab string for stable tuning. 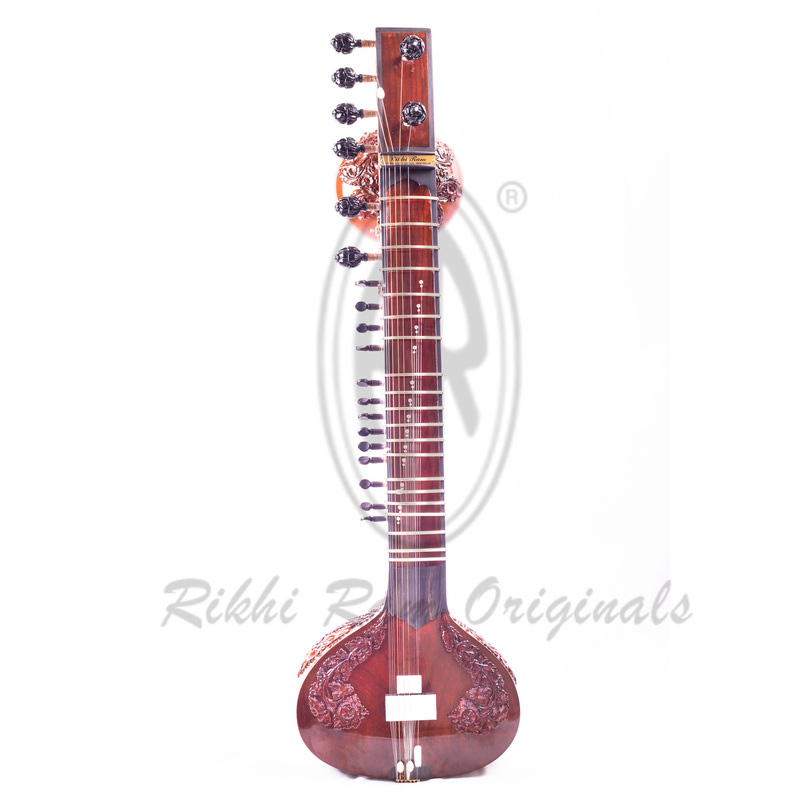 The Teflon bridges mounted are our creation, which gives the best maintainance free long sustaining sound.It is fully decorated with rosewood inlay and wood carvings. String Combination: 8 main strings & 12 to 13 sympathetic strings. 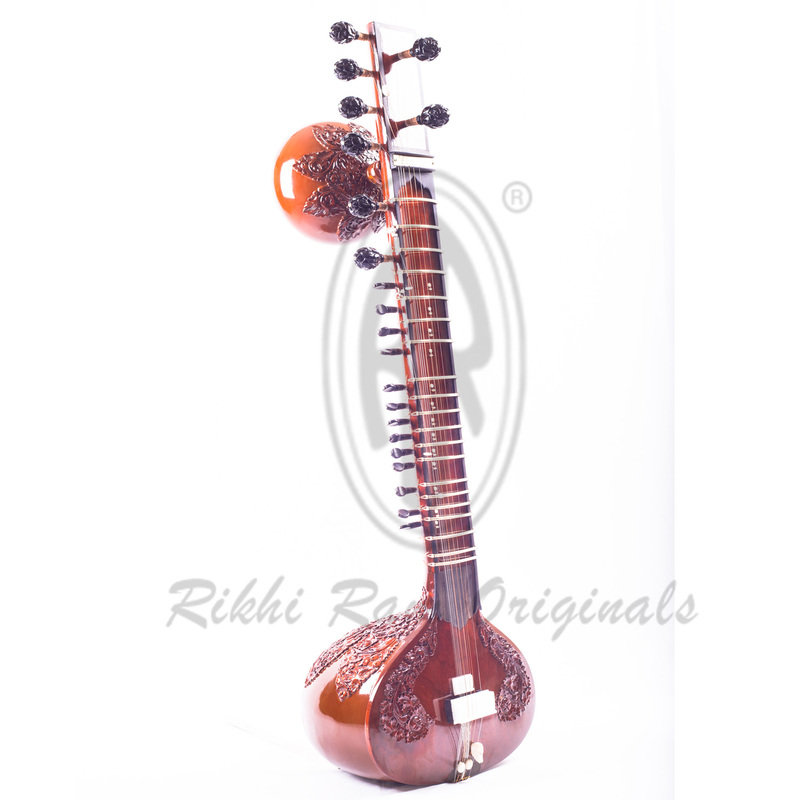 The neck or dand is wide to accommodate the 8 strimgs.Thermo-Fiber case available for sitar & Tumbi.